Here come the Danes | Does my bum look 40 in this? Now I can't remember if I've done this before as a) it's something I've been meaning to do for ages but b) as I established yesterday, my name is actually Dory and I really do have zero memory (yes I have just finished reading a book I know full well I read two years ago and managed to read the entire thing with absolutely no recollection of how it ended. Just great). But there are a few brands that I need to explore in more detail as I keep coming across things from them that I love and need to share. In fact, a lovely lady messaged me on Instagram (I LOVE it when people do this - second time it's happened now) with a dress that she'd just bought from one of them and thought I would love. And yes, she was totally right and it's waiting for me at home tomorrow. That brand in particular is Vero Moda (which is the one I think I've highlighted). A fabulous Danish brand bringing us scandi chic without the price tag that comes with so many of their native counterparts. And that is all I know about them. Have zero contact with them, this is purely a brand that I keep coming across that has caught me eye and deserves exploring. And at the same time, it reminded me that there are a fair few Danish brands it's worth keeping an eye on. Easiest place to order Vero Moda from is ASOS. I can't actually recall buying anything from there so I've broken my VM cherry with this dress which looks amazing. So seeing at I started writing this at 7 this morning, sitting all on my own with a cup of coffee and my sea view, I took advantage of the solitude to have a peruse through all that looks great at Vero Moda which may not be on your radar. Starting obviously with the dress which I've got coming. I will say my only only reservation is that I fear it may have that very transparent bottom of dress thang going on (please say no...). 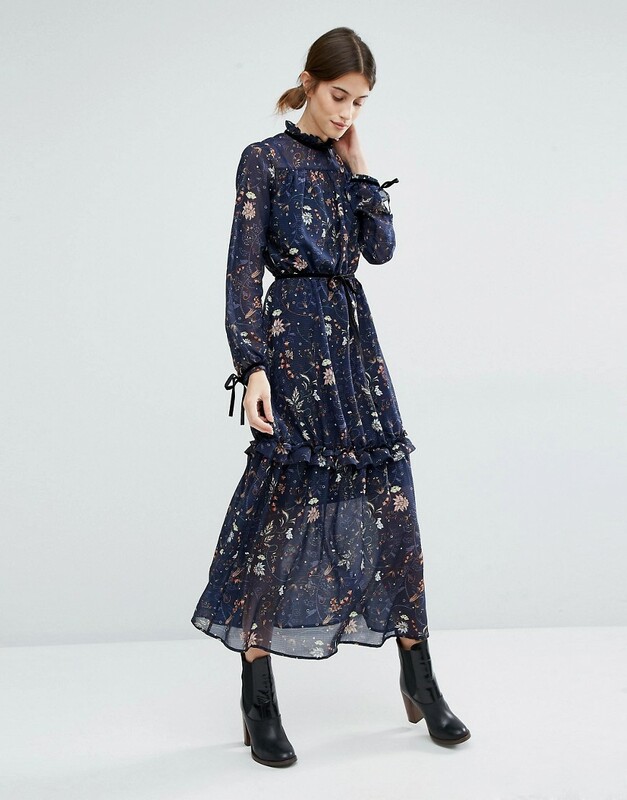 I have looked at more many midi and maxi dresses than is good for anyone, but what I have learnt is that the way to tell a more expensive one (think all the three figure plus frocks of loveliness on the likes of Matches, Net A Porter and Avenue 32) is the element of transparency. The more you pay, the less see through you are... And to be honest, it's just a look I prefer. Solid all the way to the hem. 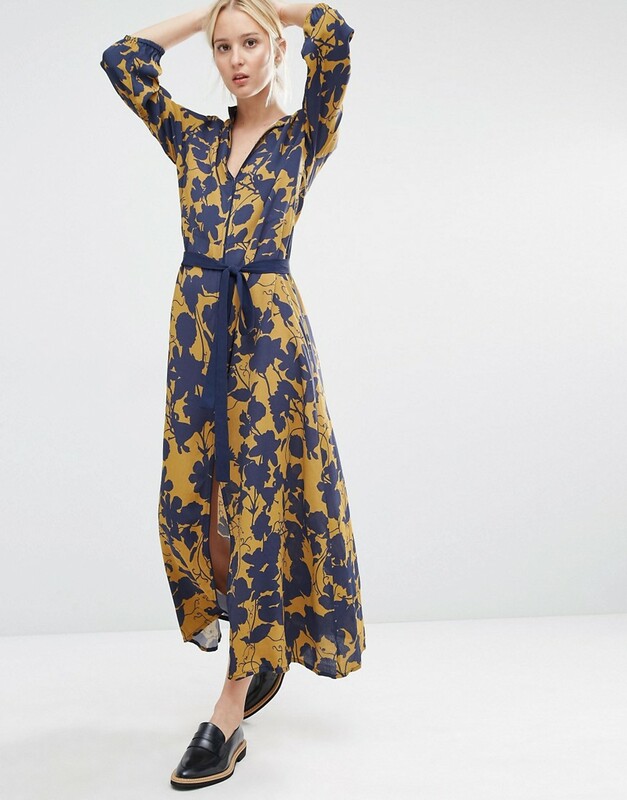 Ruffle Neck Tiered Maxi Dress from Vero Moda £48 I know, I know.. I can see "see-through- ness". BUT I've had a revelation. I am going to see if I can get a slip skirt from good old M&S to team with it. Dress transformed. Second up - oh how about this dress. Could easily be from straight from the catwalk costing ten times as much. Skirt slip needed for me here too. Now onto blouses and the top version of the dress I've ordered. And a beautiful black blouse that works as well for work with wide leg crops like here or with a pencil skirt. Team with jeans and a black loose blazer with sneakers for weekend dress down. 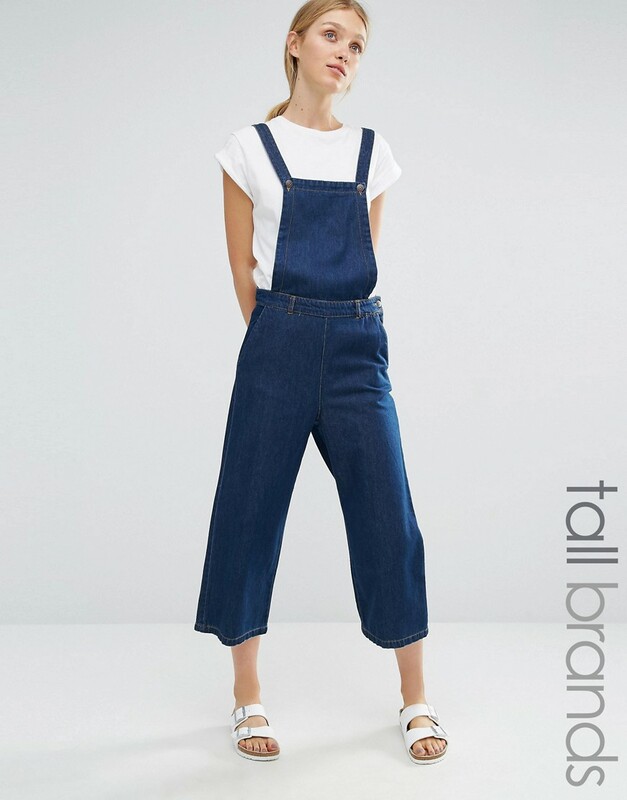 Speaking of wide leg crops, I shall be definitely getting my dungarees out again this Autumn. And I love the idea of a culotte style pair. And they also do a Tall version.. £42 AND in a petite. This is a pared back version of a Marant at a quarter of the cost. Perfect for now with a biker jacket and ankle boots. Opaques and a huge cardigan with scarf for the Autumn. Staying with black and a roll neck with a difference. Love the addition of a zip. I absolutely love a black polo neck with more black - so culottes or leather skirt but it's ever so easy to morph into Milk Tray man. This solves that problem. So I have had my eye on this dress forever. It has gone in and out of stock and is now in. I just have to scratch the itch. Absolutely perfect for now with sneakers (or even sandals... it looks like it's going to scorchio this week!) - and yawn yawn but it works - ankle boots for the Winter. Honestly there is no easier way to dress. Feeling the Scandi love again for the brand Baum Und Pferdgarten. I've had this outfit on before on my leopard print lust list but it's good enough to feature again. And the joy of separates is that you get double the wear out of them. As a dress but also wear the top with jeans and any other form of bottoms, ditto the skirt with a plain top. And a dress which won't be for everyone but I have to say I am rather taken by. I think with a pair of killer heels, this could make a really great dress. Obviously just throw on trainers for every day dress down. Finally the Danish brand which I've been wearing the longest. Good old By Malene Birger. I have a top from here which I bought to wear to my sister in law's wedding when I was pregnant with my third child who is now 8. I wear it every single year. Best thing about her clothes? Well, apart from the unique design and versatility everything I've ever bought from there has gone in the machine. No it's not cheap but it lasts and lasts and lasts. Which reminds me, I have two pairs of skinnies which are six years old and still going strong as well. And I'm just going to go there super quickly and virtually gloss over it as I can't really talk about coats today. But this one.. perfection in a fake fur. Now I know it's ridiculously expensive BUT for a designer coat - actually... well, it's ridiculously expensive but it's what you'd pay in Whistles or Reiss. I would just expect it to cost more. Other brands to keep an eye out for are Samsoe & Samsoe, Ganni, Day Birger et Mikkeslen and Mads Norgaard. All of which are gorgeous, alas not cheap. But worth it for that something a little bit different. 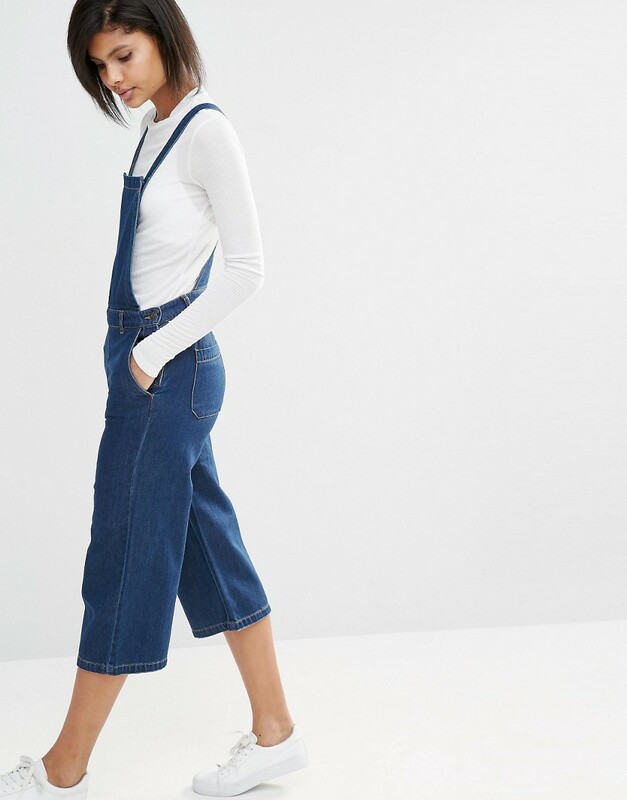 So last day of holiday and speaking of jeans, I have trousers on the mind.. inspired by pics I've seen recently, they're at the top of my Autumnal wardrobe wishlist. 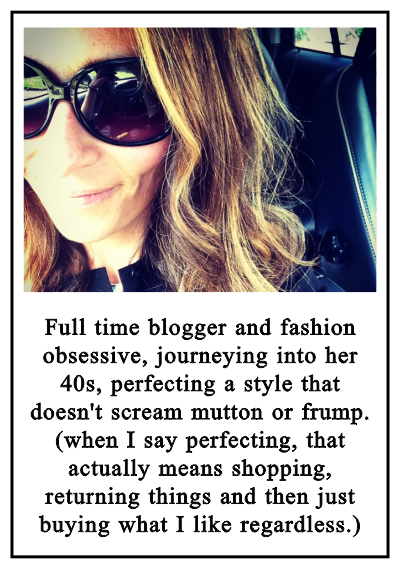 I live in Denmark, so all these are familiar to me, love By Malene Birger too, Samsøe og Samsøe (great knitwear), Mads Nørgaard (Stripes and Stella skirt). I must mention Gustav, it is on the expensive side, but their details is second to none (I'm hoping to bag a lace blouse at a girls night out on monday), and my favorite trousers at the moment are from Five Units. For knitwear it's got to be Sibin Linnebjerg. PartTwo and Inwear have some good offerings too. Boozt.com tend to have a good mix, and it's usually possible to get a discount. That being said I do shop a lot from the UK, which means I have a mix of the best of both worlds (exchange rate being good for me at the moment). Firstly I am so sorry about my non use of the proper alphabet.... but secondly I am hugely envious that you get access tot hem first hand! Are they cheaper over there? (contemplates booking flight to Denmark..!) I will check out Gustav. We actually have a shop locally called The Danish Collection which is full of gorgeous Danish brands (I have a fair bit of home stuff from there) and they've stocked Part Two and In Wear for years. Style Snob as well.. hmmm and St Tropez which I do think is randomly a Danish brand! I think the exchange rate rather puts a damper on it at the moment, but Copenhagen can definately be recommended. Love Vero Moda - chic and affordable! Can't wait for my dress to arrive! Trouble with getting the brits to adopt "hygge" is the time spent explaining the meaning, it's all dependent on the context and circumstances! Cosy as a translation doesn't get anywhere near explaining the broader meaning! ☺☺ Personally I'd like to get the Danes to understand that tea is the original universal panacea - a good cure, whatever and wherever. AHA now as someone who is half Irish even I don't see the attraction of tea....!!! I didn't know Vero Moda are Danish. They have shops everywhere here in Germany (but £ prices currently more favourable than € so step away from skyscanner.com...) I'll be interested to see what you make of the quality - the clothes often look really good but are let down by fabric and finish, in my opinion. I'm sure you're already familiar with boozt.com. They do a good range of skandi brands which make a nice change from the usual high street fare. I picked up a couple of pairs of sandals in the summer sale which I would never have found in a shop here. I haven't come across Boozt.com actually, will have a look. To be honest, tend to find the best scandi brands in small independent stores where I LOVE shopping. So I did have the top dress delivered and it was HUGE. I specifically ordered the Medium and they sent me the large. Irritating MUCH. If you are into Vero Moda, don't pass Selected by Femme, Vila and Only which are the sister brands. Other gems in the same price range are Second Female and Just Female. Tooo spooky. Just bought a top today from Second Female! Thanks for the other tips! Go and find that voucher!! 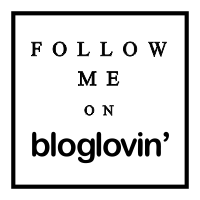 Some lovely picks, I have seen Vero Moda on asos and zalando. 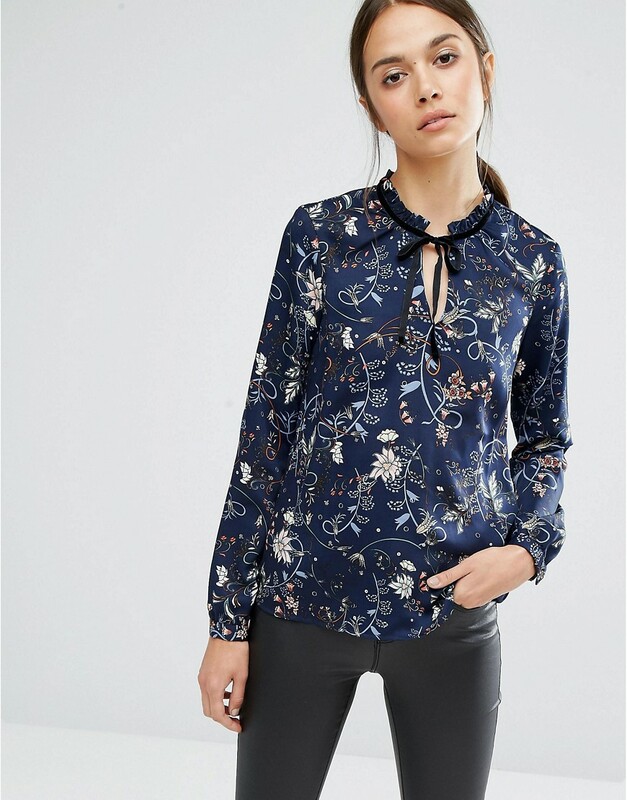 I do like the floral ruffle blouse (having said I don't really do florals or ruffles, not backtracking at all, oh no...). The Malene Birger coat is just gorgeous! I have a stripy shirt by Second Female, another chambray one from Won Hundred (both from plumo sales), I also have a pair of Selected Femme grey biker jeans. Not too mention *quite a few* Becksondergaard scarves. Love the Scandinavian style. It's lovely isn't it? And so eminently wearable! Part Two, Inwear, Jackpot and St Tropez are all part of the IC Group based in Copenhagen (I used to work for them). The quality and value of the lcothes is second to none and everything I was given/bought has stood the test of time and my gung-ho washing machine use (even the silks). The Danes dress beautifully and can't understand our 'buy cheap and often' attitude to clothing. AHA! I thought St Tropez was also Danish. So interesting (and now that I think about it - their clothing tags are all very very similar...!). Didn't know about Jackpot either (although I think that is slightly more err classical, dare I say safe, as opposed to PArt Two and Inwear which have always struck me as being slightly more fashion forward?) . Although St Trop is very reasonable no? Can I assume there is no Primark therefore in Denmark?! I LOVE their style - so easy to buy from them and look instantly chic. That's very interesting, Karen, all the Danish and Swedish brands I've got are very well made. My Won Hundred chambray shirt gets worn year round and is as good as new. I'm definitely trying to buy less and better quality. I will look out for those brands too. And I didn't know Won Hundred was Danish either. Well there you go. 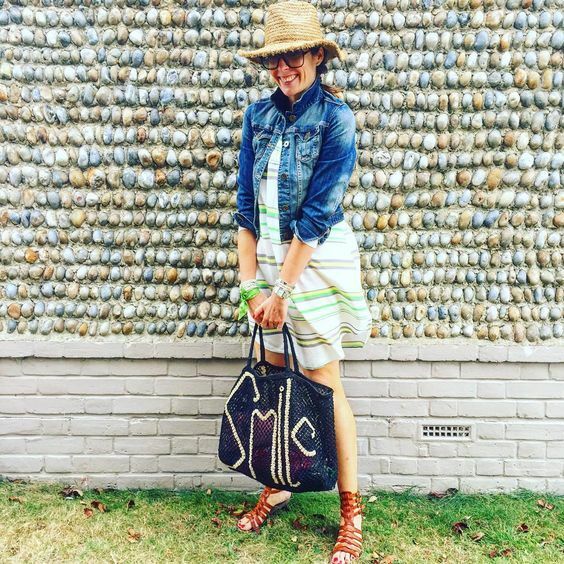 I definitely agree with quality but there is something delicious about a quick cheapo style addition to your wardrobe that is on trend, that you know you're not going to want to wear forever? I was always sure Vero Moda was Spanish!! Have one locally and find it great (particularly for tops) and inexpensive. Do you have a stand alone store? How fab!! Off to see if there are any in London! 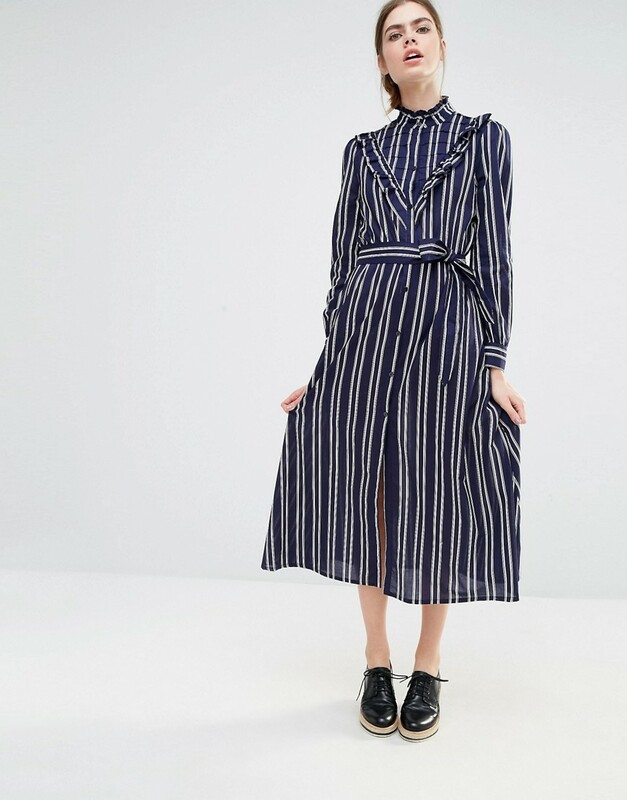 Never heard of Baum und Pfergarten until I can across their striped jersey knit maxi dress on a blog and Asos conveniently stocked it. Really impressed with the quality and fit. And I've always been a fan of By Malene Birger but never bought anything from them until now...just couldnt resist ordering the gorgeous Dittelis cardigan in grey. Fall/winter weather nowhere in sight where I am but at least I'll be ready when it finally comes! I am ALL OVER the cardigans this Winter...! Do not readjust your screen.. The one we've all been waiting for. I refuse to take the blame..
Can you ever have too many?